In this second of our three-part series, we discuss the importance of the cut of each sample and provide an in-depth look at the results and supporting technology. 3Scan is a digital pathology enterprise co-founded by Todd Huffman (CEO), Megan Klimen (COO), Matt Goodman (CTO) and Cody Daniel (Mechanical Engineering and Manufacturing) in San Francisco. The company won a $1.6 million grant in 2004, which they put to use developing the Knife Edge Scanning Microscope (KESM). They searched for a way to cut soft-biological tissue in a way where it was both microscopically thin and transparent enough to deliver more precision and accuracy for scientists. The cut of the tissue is of prime importance to 3Scan. Unlike traditional pathology where small sections of tissues are examined, at 3Scan, tissue mass is sectioned at a micron level, stained, then looked at under a digital microscope. The KESM cuts and scans serial sections at the same time through the entire mass that allows for a precise cut and examination of the sample. The thinness of the cut allows illumination of the cell, and for terabytes of data to be processed because the entire mass of the tissue is scanned. Along with the revolutionary style of cut, this Knife Edge Scanning Microscope also gathers the resulting sample with the same detail as a microscope. While histotechnologists usually cut slices of tissue by hand, 3Scan’s new scanning microscope technology relies on knife-shaped diamonds– known as the serial sectioning technique – shaves off slivers so thin they are almost transparent to the human eye. Once enough tissue is collected, the technology can create a 3D spatial mapping of the cells, allowing scientists to “zoom” in to a cellular level, which means assessing areas in detail, with extreme accuracy. There are two major reasons why this type of serial sectioning technique is the future: workflow efficiency and tissue quantification. By combining the slicing and scanning, the automation reduces the time needed to collect large volumes of data. The KESM significantly improves tissue quantification, by comparing quantity and quality of the tissue sample at the same time; the results are precise and significant differences are seen between a 3D tissue sample and a 2D tissue sample. The physical instrument itself contains three major components: the knife arm assembly, the optics train and camera, and the stage and water bath. The most important feature is the diamond knife arm assembly. It functions as both a cutting tool and a source of light for the microscope. The channel on the underside of the knife arm contains a fiber optic cable that connects the LED light source to the back of the diamond knife, providing illumination that is transmitted through the tissue section to the line scan camera. The KESM brings together elements of machine vision, automated serial sectioning, micromachining, advanced optics, and robotics to produce 3D images that can be used to quantify, manipulate, and analyze tissue structures. In order to keep up with innovative medical technology, 3Scan developed KESM to produce a cut on the tissue as thin as possible while integrating imaging into the same movement. This technology is innovative because of the speed it takes to cut, image and analyze the sample. Once enough tissue is collected, the system can create a 3D spatial mapping of the cells, allowing scientists to “zoom” in to a cellular level, which means assessing areas in greater detail, and with extreme accuracy. “The KESM is able to simultaneously light and scan tissue samples, and because it produces many scans of the tissue, we can apply algorithms to the images and spatially index each pixel to build 3D images of the model,” said Todd Huffman, 3Scan CEO and co-founder. Spatial biology within tissue samples is very complex and very difficult to understand these images in 2D, at 3Scan the scans are converted into 3D models for a more detailed look. 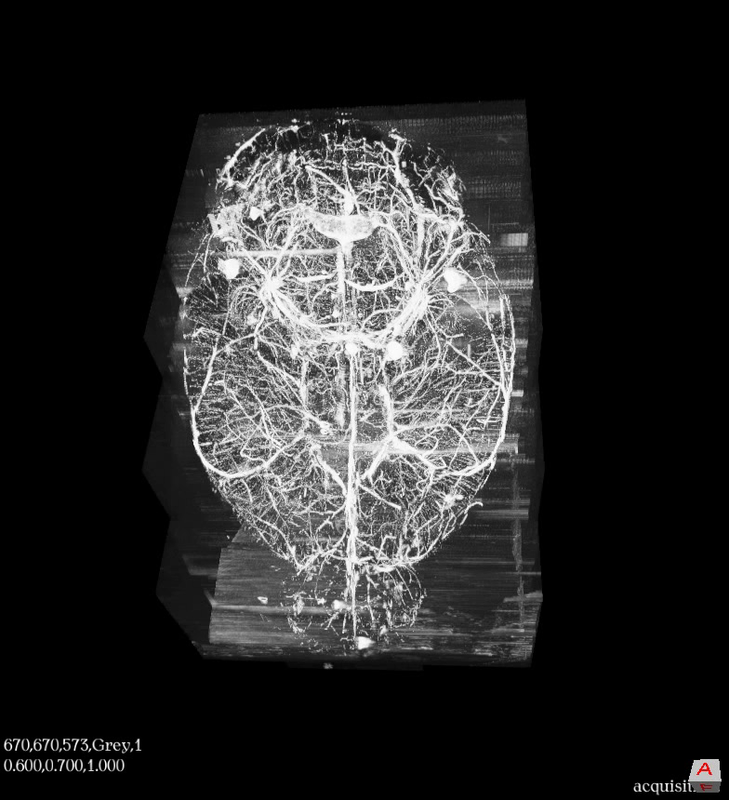 With the KESM, 3Scan are the first histopathologists able to render 3D imagery based on micron level scans. The speed and precision of this technology enables a faster and more accurate diagnosis and in some cases, earlier detection and management of disease. Analysis of tissue is a critical foundational task in many medical processes. Most often, tissue analysis is completed to diagnose illnesses, conduct medical research and DNA analysis. This customized software can enable high throughput and quantitative image analysis of diseases such as cancer and other tissue ailments. “3Scan’s automated histology platform fills the gap between radiology and pathology by allowing large-volume high-throughput imaging of tissue and tissue scale diseases. 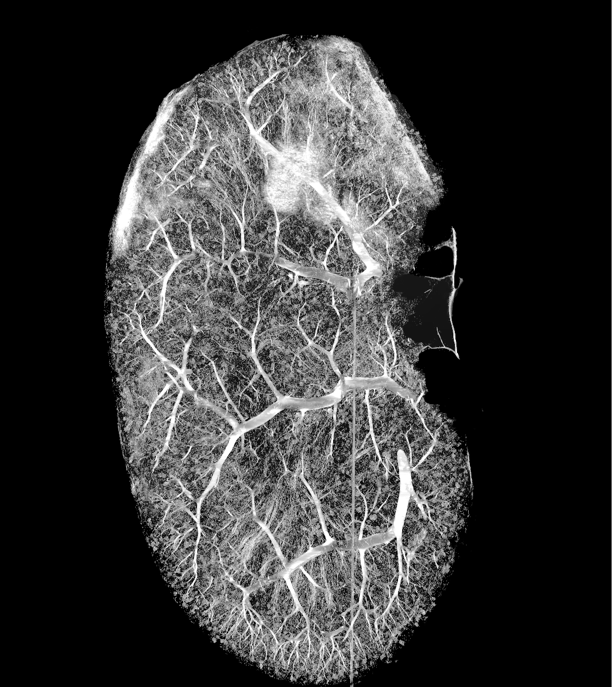 This type of imaging technology is essential if ever we want to be able to use the power of modern computing to improve pathology outcomes.” Megan Klimen, 3Scan COO and co-founder. By comparison, today’s pathology samples, sectioned by human hand and examined by human eye are the same methods which were used in the Victorian era. By transitioning to automated technology and a mechanism that precisely cuts and examines with highly sensitive cameras, pathology has entered the digital age. This gives doctors the ability to look at every cell in a biopsy sample, rather than only one small slide from that sample. 3Scan has revolutionized histopathlogy technology further than imagined, as they continue to push the envelope in medical technology they are building upon a technology-driven medical era, one which will save many lives.